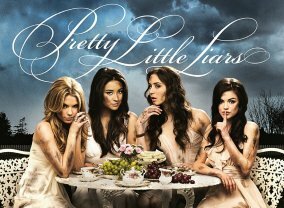 Pretty Little Liars: The Perfectionists is based on the popular book series The Perfectionists, written by Sara Shepard, who also penned the No. 1 New York Times bestselling book series Pretty Little Liars. Everything about the town of Beacon Heights seems perfect, from their top-tier college to their overachieving residents. But nothing in Beacon Heights is as it appears to be. The stress of needing to be perfect leads to the town's first murder. Behind every Perfectionist is a secret, a lie and a needed alibi. Which TV Series would you suggest to people who enjoy Pretty Little Liars: The Perfectionists?